When the fish are biting, that's a great day on the lake. When the bugs are biting, the day's not so great. 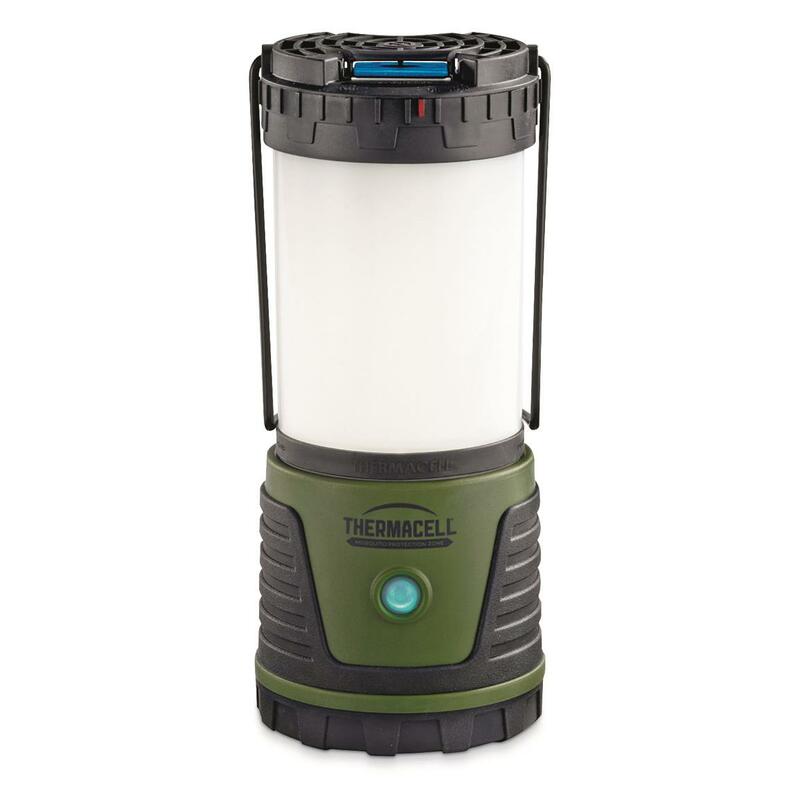 Fight back with this Thermacell® Trailblazer Repeller Lantern. 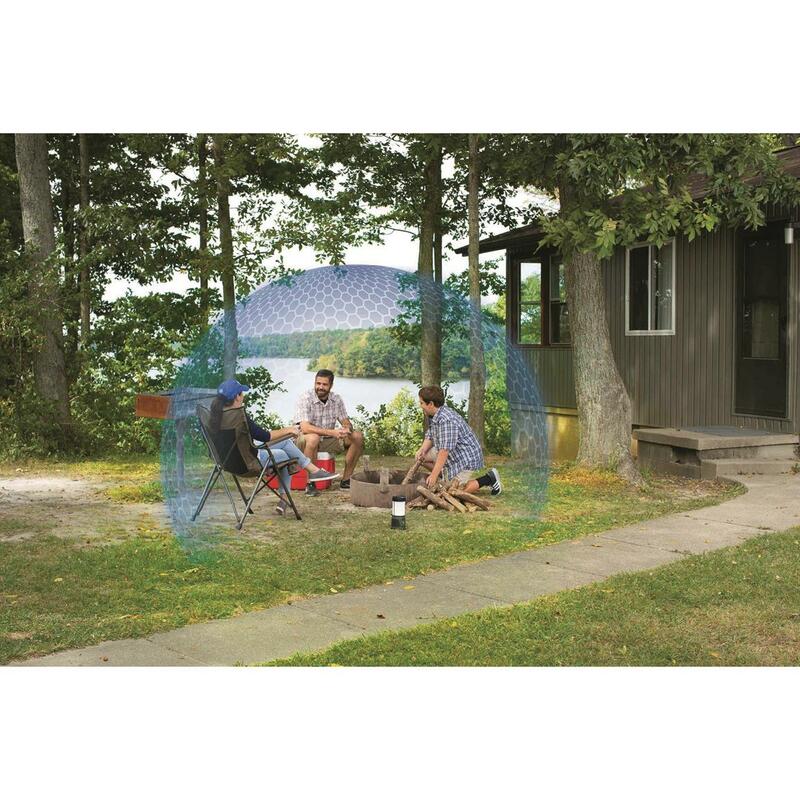 Get a 15' x 15' zone of protection from mosquitoes, black flies, and no-see-ums with this dual-purpose Lantern. A butane cartridge heats an insect repellent mat that releases allethrin into the air to ward off those pesky bugs so you can stay outside longer. 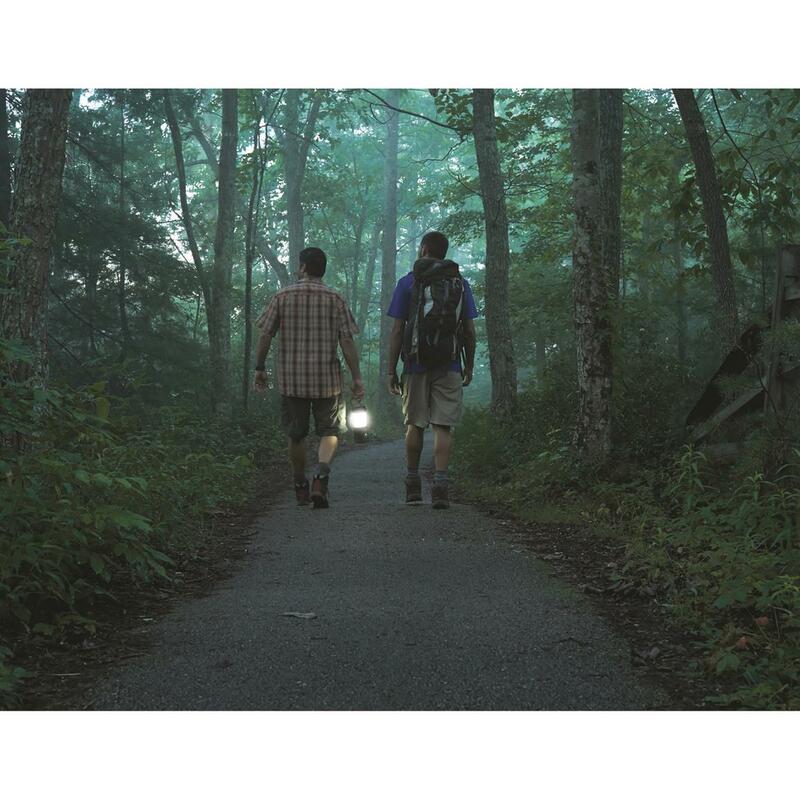 The 300-lumen LED lantern features 4 light settings (high, medium, low, and SOS strobe), a 20m beam distance, and a runtime of 50 hours when set to high. Built-in clip lets you hang it up virtually anywhere. 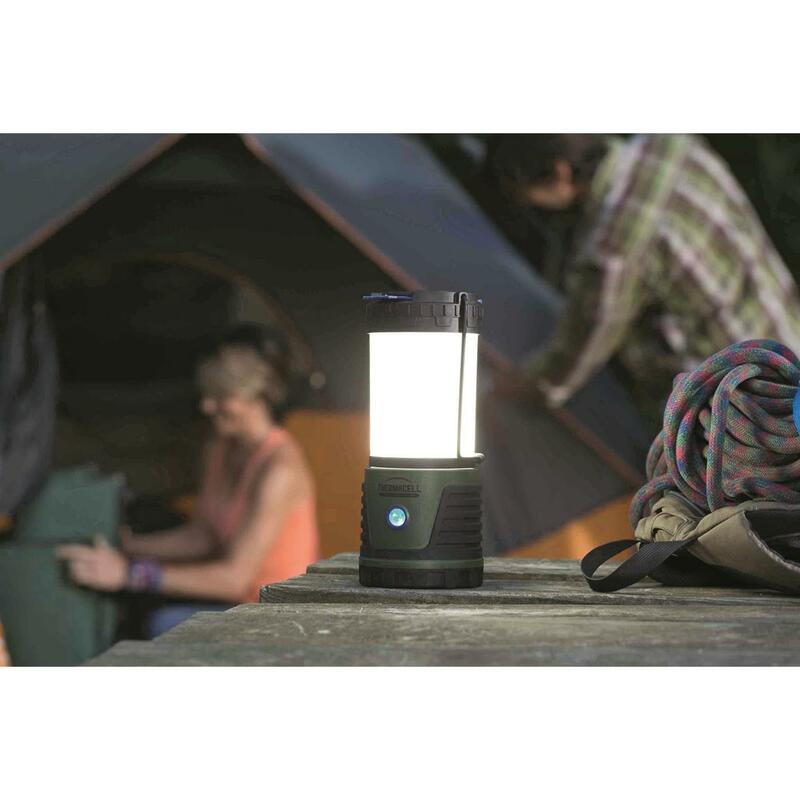 Rugged, water-resistant lantern with heavy-duty rubberized base. Powered by 4 D-cell batteries (not included). Includes butane cartridge (lasts up to 12 hours) and 3 insect repellent mats (each lasting up to 4 hours). Thermacell Trailblazer Repeller Lantern is rated 4.8 out of 5 by 48. Rated 5 out of 5 by RickD from A "Gotta Have" for camping vagabonds!! All Thermacell products are well built, and above all, they work!!! 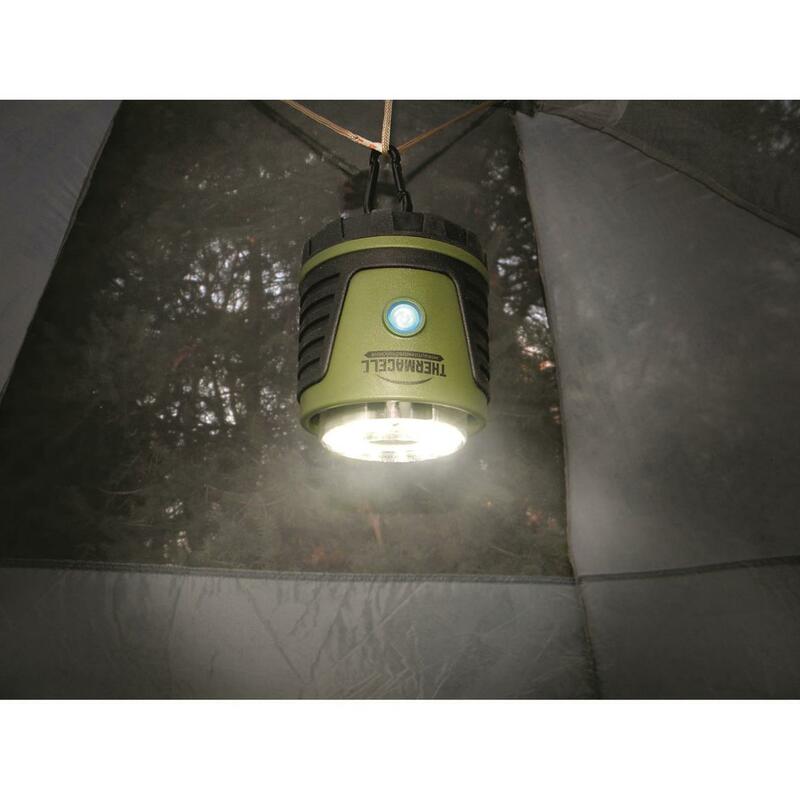 Rated 5 out of 5 by MARK J PENTLAND from PEACE AT LAST IT'S REAL SIMPLE......THE THERMACELL LANTERN AS WELL AS THEIR OTHER PRODUCTS LET YOU ENJOY THE PEACE & TRANQUILITY OF LIFE WITHOUT PESKY MOSQUITOES/INSECTS RUINING YOUR DAY/NIGHT!!! PEACE AT LAST!!! THANK YOU THERMACELL. Rated 4 out of 5 by Rusty from It got the big bugs We like it but we could only see the bigger flying bugs. Did it really get the mosquitos ? Rated 5 out of 5 by Paul17 from Glad we have it This lantern works great. We hang it outside the camper door for light and bug control. Kids are forever opening the door potentially allowing swarms of mosquitoes in, but the Trailblazer does a great job keeping them at bay. Rated 5 out of 5 by Alan from I bought this three years ago, every time my family sits in the back yard, I light my thermacell and in less than five minutes ALL bugs are gone . Very best money I have ever spent. Rated 5 out of 5 by bljjc from Great results! This is the 2nd lantern I have purchased. The first one is for camping and the 2nd is for home use. We were spending an average of 1.5 months at a time of camping in the woods and were getting beat up by mosquitoes until we purchased a lantern. After that, it was a rare event to get bitten. It made sense to buy another for home use. The mosquitoes are not as bad at home, but why deal with them at all when the lantern can take care of things for you! The only ask I have is to have it notify you when its time to replace the pad. I am not good with that on my own. Rated 5 out of 5 by happy oregon camper from This is our 3rd unit This is our 3rd unit the first one worked so well that we bought an other one to help out our first one and got a great deal on an other one that we could not pass it up. The more the better as the wife has always gone inside when the first mosquito showed up but now she can stay out and enjoy the evening campfire. Rated 5 out of 5 by MN Matt from Great for the backyard I have used this several times and it does work. I would let it warm up a bit before you really need it. I feel it takes a few minutes to really get coverage.